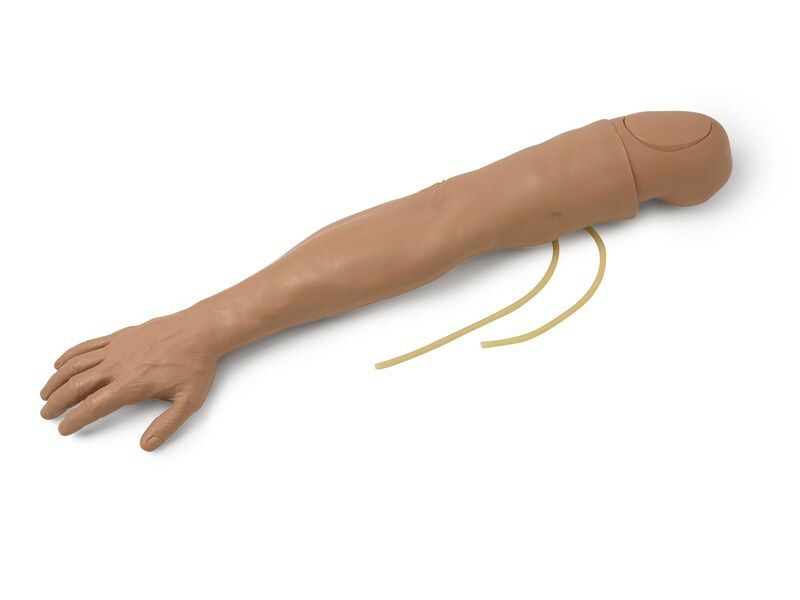 Lifelike male arm reproduction (right) with replaceable skin in tan skin tone and multi-vein system designed for peripheral intravenous therapy in the antecubital area and dorsum of the hand. Accessible veins include the median, basilic and cephalic. Injectable deltoid pad for intramuscular and subcutaneous injection practice. Arm will articulate to adult male manikins. *Replacement skin and multi-vein system for this arm is available using catalog number 312029T. *Multi-Venous IV Arms are available for purchase as a kit (270-00001T).